Fire Protection Equipment Co. provides fire safety services and equipment for commercial businesses including retail stores, factories, and restaurants across the entire Minneapolis, St. Paul, Twin Cities metro area. We provide fire extinguisher sales, service, and training. Our experienced teams can clean your kitchen exhaust systems and replace equipment as required. Licensed and insured technicians can install and/or service your fire alarm and surveillance systems. Call Fire Protection Equipment Co. for all of your fire safety and fire protection needs. 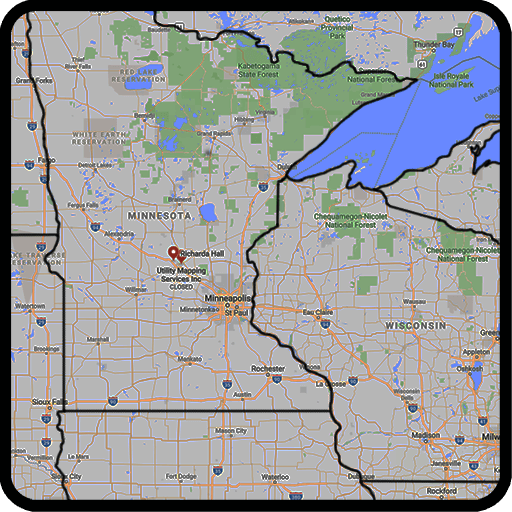 In partnership with our sister companies, Northland Fire Protection and Northland Fire & Safety - we cover a much wider region including all of Minnesota, northern Wisconsin, east North Dakota, and Upper Michigan. Please see our service area map (below) to determine which company covers your region. Northland Fire provides complete kitchen exhaust system cleaning services for restaurants and commercial institutions. We are fully bonded and insured. Get your kitchen hoods sparkling clean without any hassles or business interruptions. Call us! Northland Fire can help you choose the proper system for your residential or commercial building. Emergency exit lighting power sources range from battery backup to self-luminous tritium to photoluminescent tape.